Titusville is the seat of Brevard County and is on the western shore of the Indian River Lagoon directly west of Kennedy Space Center. The town's slogan is "Gateway to Nature and Space". 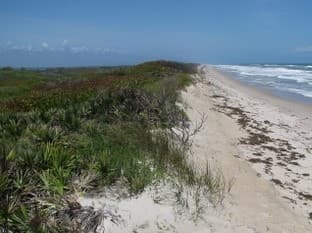 The space part is obvious, but the town is also where you access Merritt Island National Wildlife Refuge and Canaveral National Seashore. 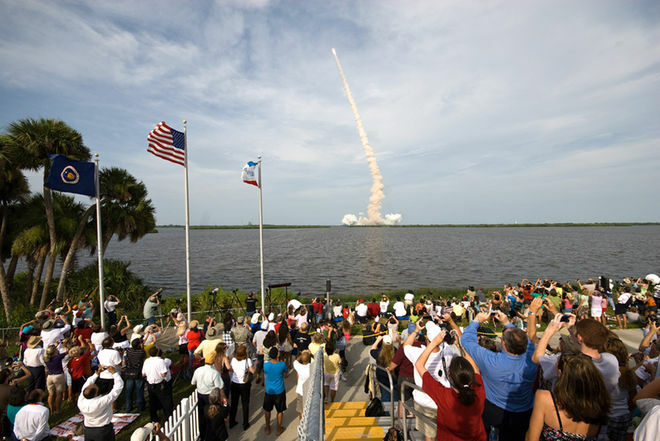 The shoreline in Titusville is a favorite place for watching rocket launches at "The Cape" as the space center is called locally. The community in this area was originally called Sand Point. Colonel Henry Titus, a former Confederate soldier, came to town in 1867 and built a hotel called the Titus House in 1870. Sand Point became Titusville in 1873. Colonel Titus shrewdly donated land for government buildings that resulted in Titusville becoming the County Seat. 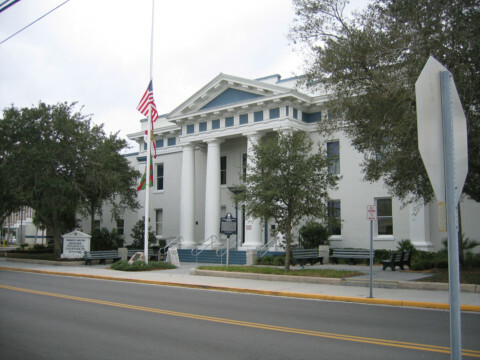 The first big thing that happened in the development of Titusville Florida was in 1885 when the railroad came to town from Enterprise on the north shore of Lake Monroe. This connected Titusville to the major navigation advantages of the St. Johns River. You can still enjoy areas that the old railroad passed through by driving north of Titusville to Oak Hill and taking Maytown Road west across the vast wilderness to Osteen. The road is on the alignment of the old railroad from Enterprise. Seven years after that first railroad came down from Enterprise, Henry Flagler pushed his Florida East Coast Railroad from Daytona down to Titusville and the area began to prosper. It became a major shipping point for pineapples and citrus. In the 1950s and 1960s the space program was booming and Titusville became a bedroom community for thousands of aerospace workers. It was during those heady days of space exploration that Titusville got its nicknames of "Space City" and "Miracle City". The early 1970s shopping center on US-1 was known as "Miracle City Mall". The mall and the town declined in the years after the successful manned moon landing in 1969. The economy was terrible because of the massive layoffs at the space center. It has taken many years to recover from the bust that followed the boom. The mall was partially demolished in early 2015 and replaced by a new shopping and town center. This is a welcome sign of progress for the locals. 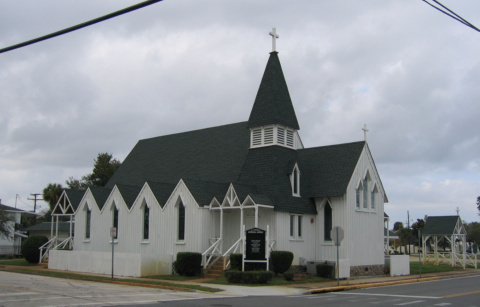 St. Gabriel's Episcopal Church was built in 1887 and still stands next door to the historic Brevard County Courthouse Annex A.
St. Gabriel's is an example of Carpenter Gothic church architecture. It is at 414 Pine Avenue, and is on the National Register of Historic Places. 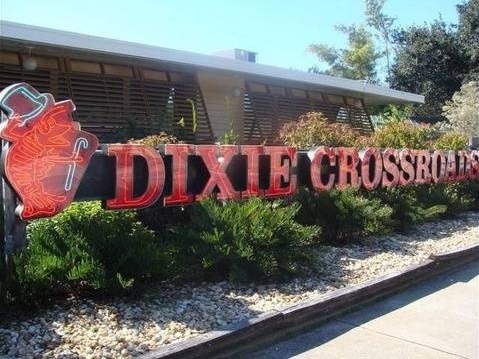 A trip to Titusville can be even more fun if you take the time to dine at Dixie Crossroads. This restaurant features fresh fish and shrimp from nearby Port Canaveral. They also have a wide variety of food that will satisfy those of you who don't like seafood. 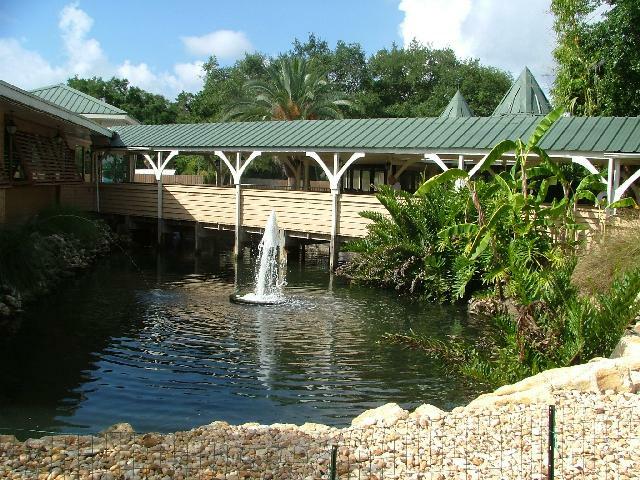 You can feed the fish and turtles in the outside ponds while you are waiting for your table. I have never had to wait very long. The menu at Dixie Crossroads is so extensive that there is no room in this review to tell you everything. Some of these are cheese curds, fried calamari, shrimp cocktail, bacon wrapped shrimp, and a variety of oysters both grilled and steamed. Since it's a Florida restaurant, they also have gator bites. You can ask for the soup of the day, and they also have clam chowder, house salad, and Caesar salad. You can also add shrimp or chicken to any salad. Try a hamburger or a Philly cheesesteak, fish tacos, chicken tenders, mahi mahi, mullet, Shrimp Po'Boy and even a veggie burger. Baskets include fried clam strips, fried fish, rock shrimp, oysters, gator bites, chicken tenders, chicken brast, and crab cakes. Here is where they really shine. There are so many things to choose from I'll just mention a few: Maine Lobsters, Rock Shrimp, Scallops, Crab Legs, Mahi Mahi, and mullet. You can combine any number of these in large platters they call Dixie Spectacular and Cape Canaveral Special. You can have seafood steamed, broiled, fried, grilled, or blackened. 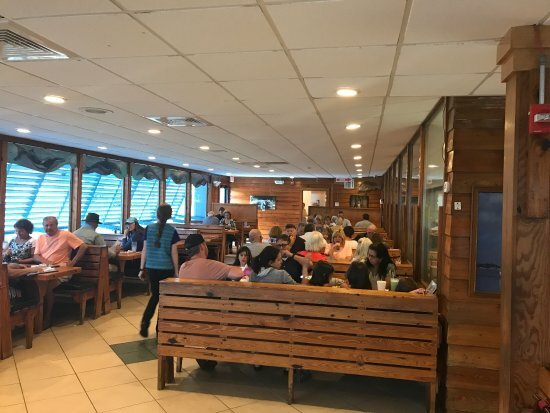 They have many offerings for the landlubber such as Surf N Turf & Chicken that can feature New York Strip Steak, Prime Rib, Sirloin, Chicken Breast, and lobster. They have a full service bar with several local craft beers, and an air conditioned bar in a gazebo structure. The dessert menu is extensive and includes Key Lime Pie. Dixie Crossroads is open every day of the week from 11:00 AM to 9:00 PM except Friday and Saturday when it stays open until 10:00 PM.